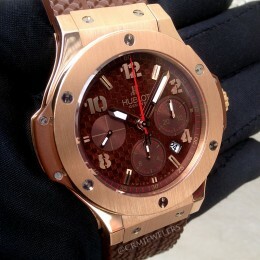 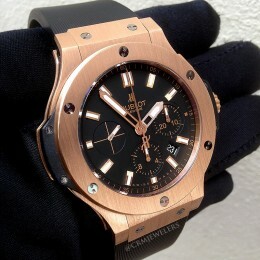 The Hublot Big Bang is one of the company’s most successful watch models. 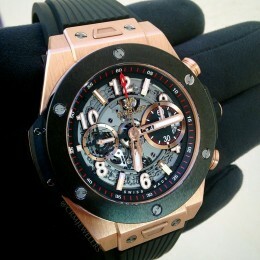 Brought to life by the vision of CEO Jean-Claude Biver, the Big Bang became an overnight success in 2005. 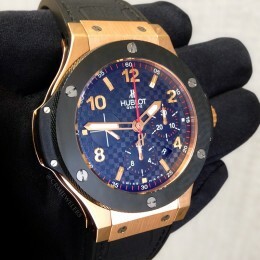 The new design utilizes a fusion (blending) of various materials, such as stainless steel, gold, natural (vanilla scented) rubber, carbon fiber, and ceramic. 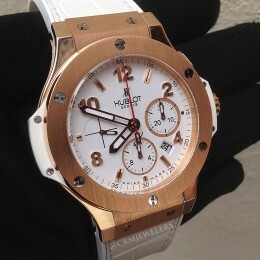 It is also embellished with H-shaped titanium screws. 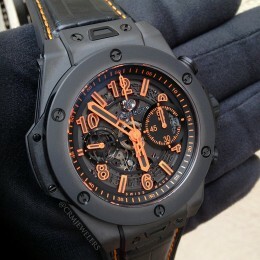 The Big Bang is definitely a sporty watch that has many interesting variations and limited-edition models. 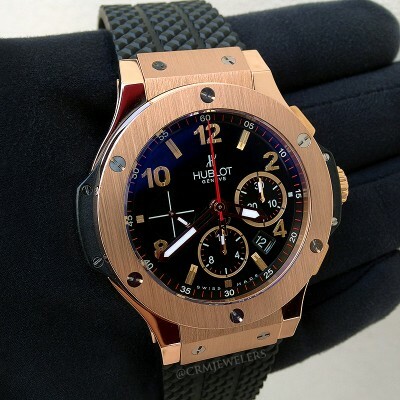 Due to Hublot’s popularity and creative approach to marketing their products, the Big Bang has become one of the more contemporary luxury watches out in the market. 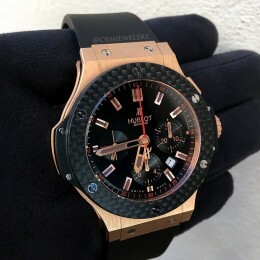 The Fusion of exotic materials has become the winning formula for Hublot, as well as the continuous collaborations with well-known celebrities, artists, athletes and sport car companies.